iPhone iOS 12 Doesn't Show up on Computer? The Best Fix! iPhone iOS 12 Doesn’t Show up on Computer? The Best Fix! Why does my iPhone X iOS 12 not show up in my Windows 10 computer when plugged in with the USB cable? But when I connected to my friend’s PC, it was detected. This issue has been about three weeks. Is there any solution? The quote above was a complaint from Apple communities. We’ve looked into why his iPhone doesn’t show up in Windows 10, and our research led us to some great finding on how to solve ‘iTunes not detecting iPhone issues”. These solutions we’ve shared in the following parts of this article. Check to know if your Apple Mobile device drivers are out of date or corrupt. Did you click “Don’t Trust” the first time you got the “Trust This Computer” alert when plugging your iPhone into your PC? Your iPhone lightning cable may be faulty or fake. Your PC’s USB port may be faulty, so try changing to another USB port on your PC. When last did you restart your PC? If your PC has worked for a long time, such issues may tend to occur. The following are the best fix for every “iPhone doesn’t show up in Windows 10/8/7 computer” problem. We’ve discussed the solutions in detail which include the steps to use each fixing the issue. 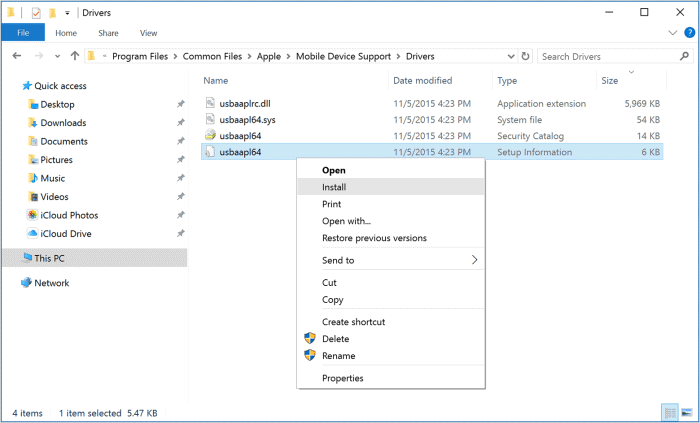 When iPhone doesn’t show up in computer file explorer, we said that the possible cause may be stemming from corrupted Apple Mobile device drivers. By placing this factor first among other possible causes, we intend to show you the higher probability that the problem you’re facing may be stemming from corrupted Apple mobile device drivers. There is no better tool for automatic update of Apple mobile device drivers other than iMyFone TunesFix. 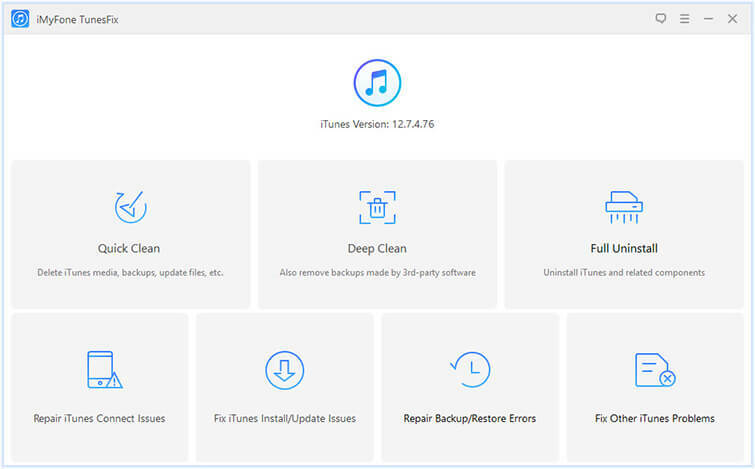 This tool fixes 100+ iTunes errors, repairs any iTunes issue, and clear iTunes junks to free up space. Therefore, running iMyFone TunesFix would solve “iPhone won’t show up on the computer” and other related issues. Fix all “iPhone doesn’t show up in computer” issues in one click. Repair or update Apple mobile device drivers that are installed on your PC. Speed up your computer by removing all junk and redundant files deposited in it by iTunes. TunesFix can do all types of iTunes without losing your data. Steps to Repair "iPhone isn’t Showing up on Computer"
Donwload and install iMyFone TunesFix on your PC. Open it and it will auto detect your iTunes. 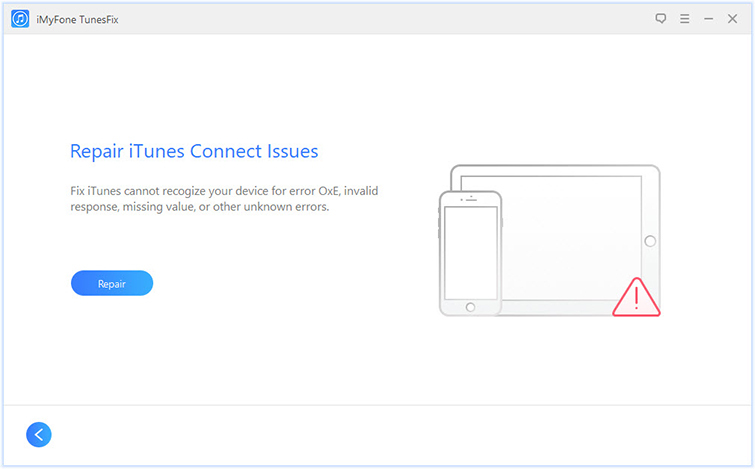 If there is something wrong with your iTunes and components, it will show you the details. You can view the details. 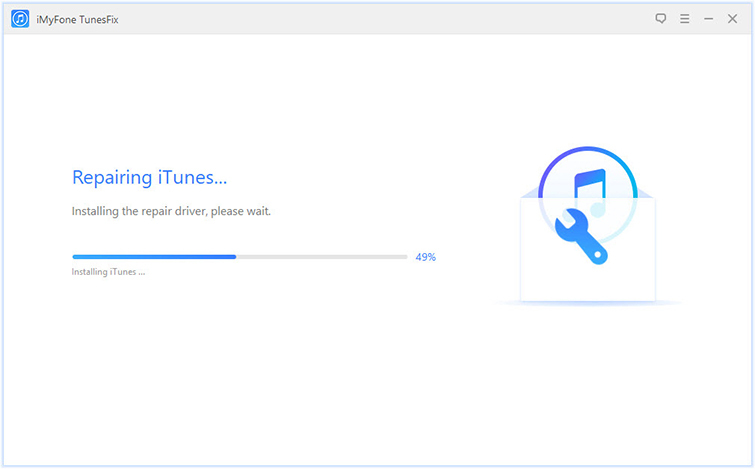 Or you can click Repair to install the repairing driver for your iTunes. When it’s done, the issue that iPhone doesn’t show up on PC will be fixed. 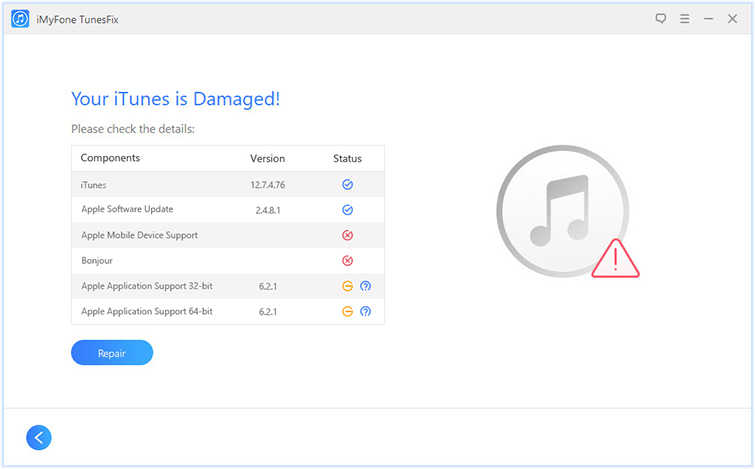 If your iTunes is error-free, you’ll be redirected to the Home interface. Choose a repair mode. In this case, you have to choose “Repair iTunes Connect Issues”. Click “Repair” and ensure you keep your internet stable. When it’s done, TunesFix will download and update all Apple Mobile device outdated drives. iMyFone TunesFix has been tested and recommended by lost of software review sites. It's safe to use. Don't worry. There are some of the good fixes you can try that can provide solutions to questions like “why isn't my iPhone showing up on my computer?” and some other questions. Update or Upgrade your Windows to the latest version. Restart your Windows PC and iPhone. Ensure you are connecting your iPhone to your PC with an original Apple lightning cable. Trust your computer your computer if you haven’t done so. Disconnect your iPhone from computer. Unlock your iPhone and go to the Home screen. Then connect your iPhone to computer. Press the Windows and R keys at the same time. In the run window, type the following texts and enter. Right-click on the usbaap164.inf or usbaap1.inf and click on Install. When it’s done, unplug your iPhone from computer and reconnect your iPhone to try. All the aforementioned techniques can work in solving this issue, but the best among them is iMyFone TunesFix. Download, install and use TunesFix software today in order to say goodbye to all iTunes and PC issues. iPhone iOS 12 Stuck on Connect to iTunes? Here are the Fixes!